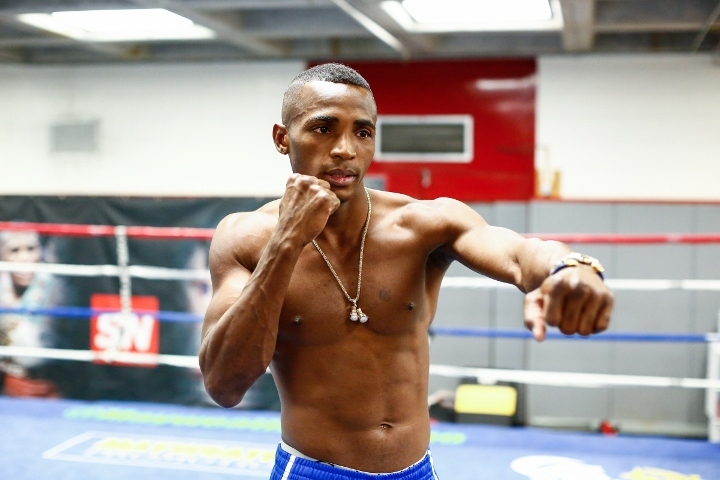 How Much Time in on Erislandy Lara's Side? In just a bit more than a week, while there won’t be as catchy a title for the card, we have a similar, and similarly intriguing, single night devoted to one of boxing’s deepest divisions. On October 14th, three important fights at 154 lbs. will come a critical time. Demetrius Andrade appears headed to middleweight; Jermall Charlo is already there. That ample depth remains speaks highly of the field. Unlike “SuperFly,” there isn’t a notable spotlight fight in the vein of Naoya Inoue-Antonio Nieves. Jermell Charlo-Erickson Lubin and Jarrett Hurd-Austin Trout are both strong support bouts where cases can be made for all participants. The main event looks like the fight with the strongest favorite but it’s hard to call Erislandy Lara-Terrell Gausha a given for the favorite. The defending WBA/IBO titlist Lara (24-2-2, 14 KO), on paper, should defeat the former US Olympian Gausha (20-0, 9 KO). He’s a more fluid, more experienced, and more complete fighter. Lara is also 34 years old, a product of the Cuban amateur system in his ninth year as a professional. With only two fights since November of 2015, Lara should be well rested but one never knows when the combination of rust and age can catch up to a fighter. Even if he does win, as expected next weekend, time is as much an enemy of Lara as any opponent in the ring. Going into next weekend, and coming out of it if he wins, how much time is left on Lara’s side? It’s enough to say it feels like Lara should have gotten more done since his narrow 2014 loss to Saul Alvarez. For a few years, opportunity was coming his way but in the years since the cerebral southpaw has too often been stuck in neutral. It’s a contrast from the road to Alvarez. That road really began with a horrid 2011 decision loss to Paul Williams that resulted in judges being suspended. Lara’s excellent display of counter punching opened new doors for established foes. Vanes Martisrosyan, Alfredo Angulo, and Trout came all in a row from 2012-13 and set the stage for the pay-per-view showdown. Lara came up a little short but solidified his belonging with the best of his class. In five fights since, matchups have been mixed. A Martirosyan rematch stood out as the best of a bunch of fights against the faded likes of Delvin Rodriguez, Ishe Smith, Jan Zaveck, and Yuri Foreman. There were no unification bouts; no real opportunities to cement his place as the leader of his class. Part of that could be a style issue. Lara isn’t always a thriller. The Alvarez fight might have had room to debate who truly won the fight but the fight itself was forgettable. Landed punches, both ways, could be counted in the single digits most rounds. It didn’t leave a great deal of demand for Lara when the final bell rang, even from those who thought he’d done enough to win. There was no cry for a rematch despite the narrow margins. Maybe some of that can change next weekend (Showtime, 10 PM EST/7 PM PST). Laid out next to a big chunk of the rest of the best at 154 lbs., an impressive Lara performance could create a genuine desire to see the other victors on the card across the ring from him. In the 30-year old Gausha, he should find at least a willing contender. Gausha has had a quiet emergence compared to Olympic teammates like Errol Spence and Joseph Diaz. He can make real noise here. Lara has to win to have a chance to make noise again after being all but forgotten too often in recent years. While a rematch with Trout, if Trout upsets Hurd, might not be high on anyone’s list, would anyone not be intrigued by Lara facing Charlo? Lubin? Hurd? Those are all fights that would, like Gausha, pit the aging Cuban against young, hungry professionals looking to build off the bona fides he’s established. They would have a chance to take his place; he would have the chance to cement his. Lara’s is a very good career that feels, so far, incomplete. It lacks a punctuation mark but the possibilities are there. There is enough talent around, enough youth, to allow for real opportunities in his professional twilight. Time isn’t on Lara’s side. Next weekend, he can begin to use what time he has left wisely. This weekend’s Anthony Crolla-Ricky Burns fight will be shown live in the US on AWE and likely be easier to find than the World Boxing Super Series. After the antics at the Chris Eubank press conference this week, that feels like a shame…Roman Gonzalez might be interested in Khalid Yafai but his handlers might want to get him a softer touch or two before what would be another grueling fight. The problem of course is Gonzalez’s time to cash in, even coming his first clear loss, is short and he can make more immediately just burning through the rest of the candle…If Blade Runner 2049 is as good as early buzz, take all the money. All of it…While the circumstances make it an understandable outcome, going from Deontay Wilder-Luis Ortiz to Wilder-Bermane Stiverne II is like going from a luxury spa to an outhouse. Lara's close relationship with the Charlos also negatively affected his 154lb campaign. He should've tested the waters at MW. Lara wants Hurd after his fight with Gausha. He wants none of Charlo, Williams or Andrade or any nobody at 160. Who would even want to see slow-moving Hurd vs Lara?